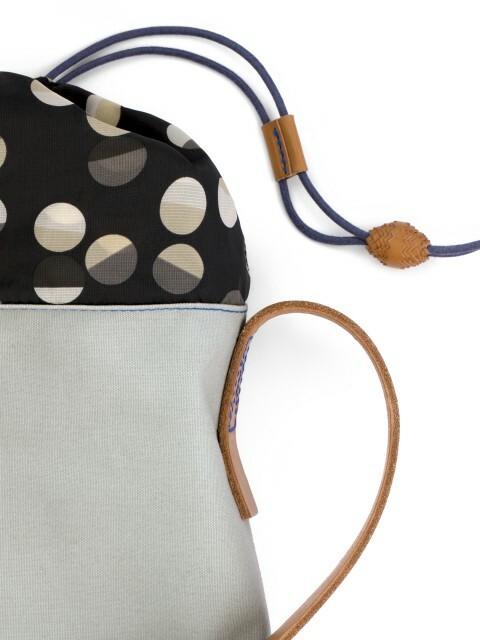 A simple and functional unisex shoulder bag for daily use, with signature craft-like details. 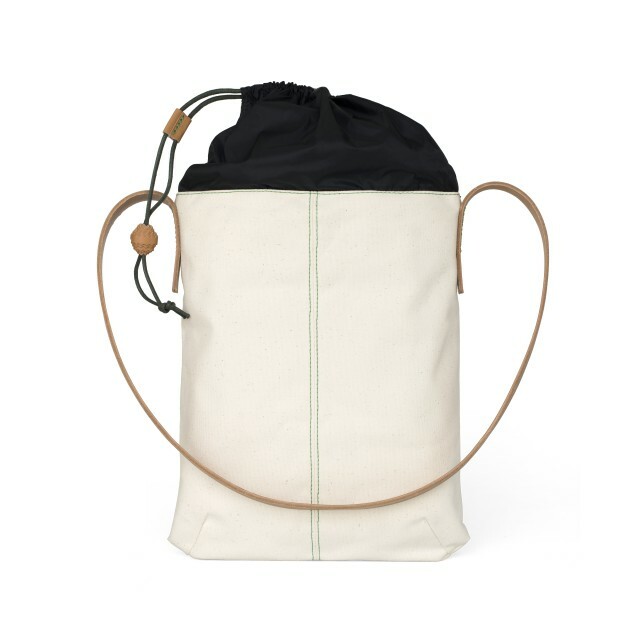 The shape of the bag is archetypical and pragmatic. 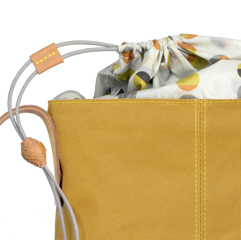 Sturdy on the outside but with a hidden treasure inside, only visible for the user. 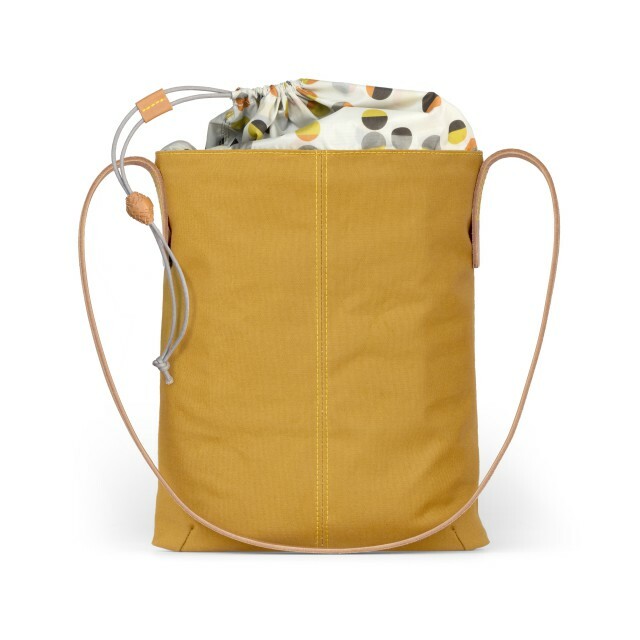 French cotton canvas in natural greige and custom-dyed shades of mustard and pale sea glass forms the bag’s U-shaped body, which is left unlined, exposing the construction, with one interior pocket. 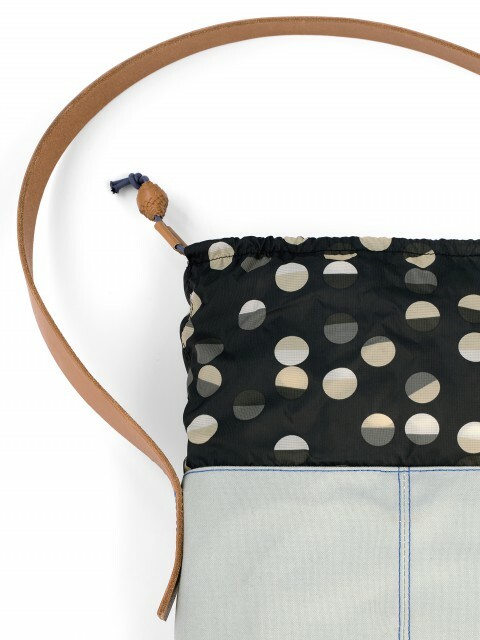 An adjoining self-lined collar in ripstop nylon provides material contrast in opaque navy or printed with a modified version of the Confetti pattern. 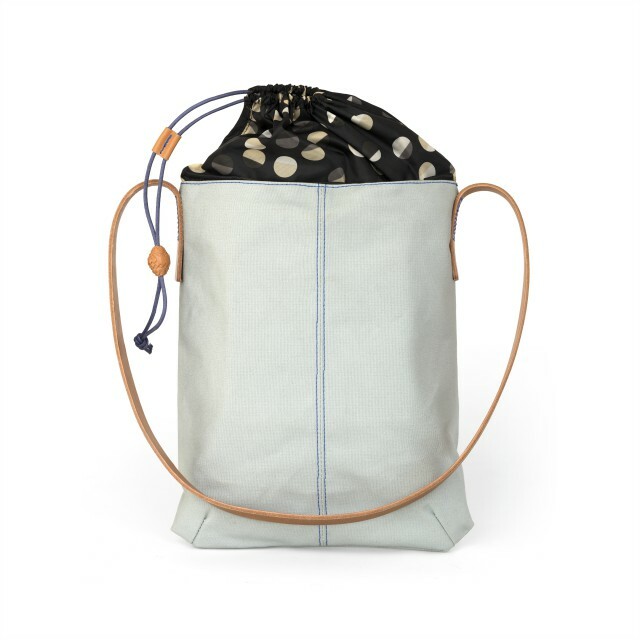 A waxed cotton cord secured by a custom-made leather slide draws the collar together while a handmade leather bead serves as the pull.